Scenic Alpine Lake in Summer. 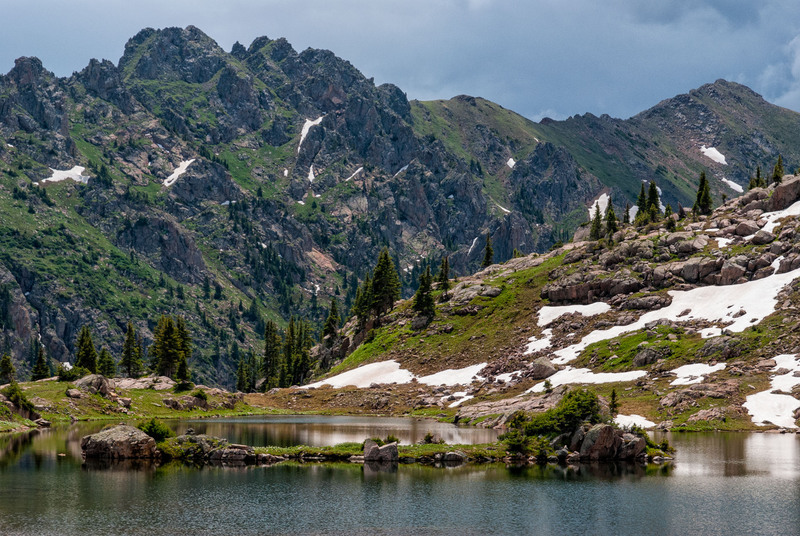 Clean crisp mountain lake with rugged jagged mountain peaks all around. Converted from 14-bit Raw file. sRGB color space.